In the 1970’s, a young mother, Beverly Thumann wanted to spend as much time with her children as possible. As a way to spend more time with her little kids, she would travel to home decorating shows inside of peoples homes to decorate and set up floral arrangements. From those home shows, Just Because Gifts & Home Accessories as spent the last 40+ years becoming THE store to find the best gifts and home decor in the Quad Cities. In the 1970’s, a young mother, Beverly Thumann wanted to spend as much time with her children as possible. As a way to spend more time with her little kids, she would travel to home decorating shows inside of peoples homes to decorate and set up floral arrangements. As her floral arrangements took off, she would bring more and more to each show to provide arrangements for customers. As a family, Beverly and her children would travel and bring these arrangements all over Iowa and Illinois. As business started to pick up even more, she eventually partnered with consignment shops to start selling merchandise and arrangements locally. This would be the early days of what would become Just Because Gifts & Home Accessories. In 1985, Beverly branched out and brought her decorating skills to the riverboats of Davenport, IA. At these riverboats, she would decorate the merchandise in the windows and sell her own products and floral arrangements. During this time, Just Because would grow by opening its first gift shop in Branson, Missouri. 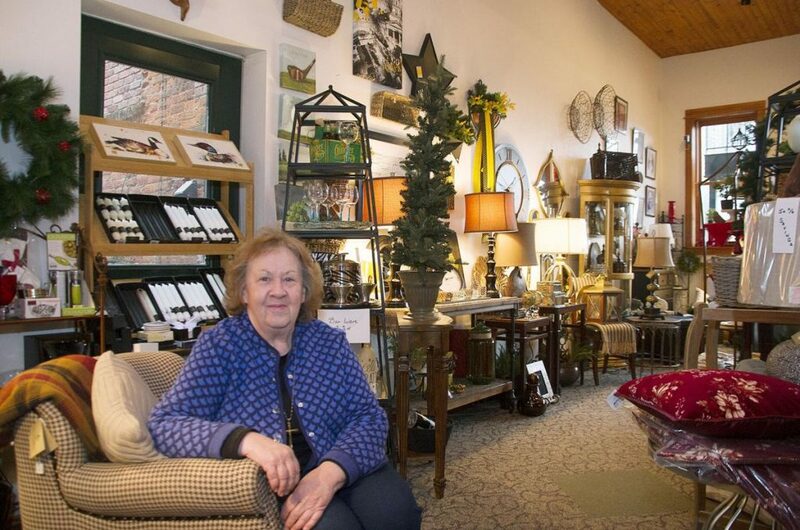 In the early 1990’s, Beverly took the leap and Just Because Gifts & Home Accessories would find itself in a home turned storefront in Blue Grass, Iowa. During this time, Just Because would start to become more of the gift store that we have today. In 2003, Just Because Gifts & Home Accessories would pick up shop once again and relocate to Muscatine, Iowa. During this 14 year run, Bev and her staff enjoyed time spent being there for all of their Muscatine customers. In 2016, Bev found herself out on Superbowl Sunday and after taking a wrong turn in Davenport, she ended up in the East Village. It was that moment when she saw the old Isabelle Bloom building was available. From that moment, she knew the direction Just Because needed to go. In 2017, Just Because Gits & Home Accessories would open shop in the East Village of Davenport, IA. Now, we are celebrating our 1 year anniversary in the East Village of Davenport! After a year of being here and serving our new customers in Davenport, we have figured out how to bring more value and be there more for our customers. Not only in 2018 are we kicking off more ways to give more back to our customers, but we are getting a new look to the store and bringing in NEW merchandise.